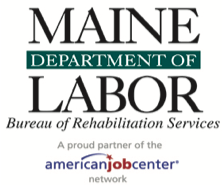 Maine Division of Vocational Rehabilitation (DVR) was awarded the Transition Work-Based Learning model demonstration grant, with Institute for Community Inclusion (ICI) as a key partner. The grant from Rehabilitation Services Administration awarded $1.8 million per year for 5 years. Maine DVR will be expanding the Progressive Employment model (building upon our RRTC on Demand-Side Strategies) in two new offices serving transition age youth. Maine DVR will utilize the Progressive Employment model to expand employer relationships and align this dual customer community-based strategy with enhanced Jobs for Maine’s Graduates (JMG) programs for students with disabilities. These interventions will serve at least 200 students with disabilities per year that are within two years of graduation from high school to test whether a model of work-based learning improves competitive integrated employment and postsecondary education outcomes. The ICI is a key partner with Maine DVR and leads the Progressive Employment training / technical assistance, supports evaluation, and provides disability training to staff. Other project partners include: the American Institutes for Research (AIR), the Council of State Administrators of Vocational Rehabilitation (CSAVR), and the Center for Workforce Research and Information (CWRI). Assist 400 students in the transition years within 2 years of graduation with engagement in career exploration activities including paid work-based learning opportunities. Evaluate the effectiveness of rapid engagement activities of Progressive Employment and the Leadership and self-advocacy skills of JMG. Develop replicable, sustainable and collaborative ways to provide pre-employment transition services. Increase rates of graduation from high school, post-secondary education/training and competitive integrated employment. Maine BRS serves 10,000 consumers per year in a predominately rural state. One third are transition-age youth and the PE replication is specifically targeting this population. BRS relies on Community Rehabilitation Providers (CRPs) for job placement and are actively working with them as part of the effort. There is one Business Account Manager for transition students in the state, and her primary responsibilities are coordination of team meetings about PE and contact with larger employers and big box stores.